A philosophical fantasy explores how a man who can do nothing right might be the key to humanity’s lasting happiness. Loner Mick Eldritch of Webster, Kansas, loves to study processes. He works for Davis & Meyers Consulting, and is currently dissecting problems for Parma Custom Fabrication. When Mick’s boss hears his controversial proposal for Parma, he suggests that the employee take some time off. At home, Mick quickly ruins his relationship with Leah, too. When he has her new white car partially coated in gritty black truck bedding—to prevent dings—she breaks up with him. He and his Irish setter, Jarmusch, move out. Meanwhile, Kevin Gerrick of the National Oceanographic and Atmospheric Agency has been trying for years to prove that weather influences human behavior. He obsesses over weather data and even extracts musical compositions from the information. Once he and his colleague Sophie Worthington suspect a connection between Webster’s recent history of intense storms and Mick’s presence, they pay him a visit. They aren’t the first to reach him, however. The interdimensional being called Puati decides to manifest himself, speaking through Jarmusch. Mick isn’t prepared for the profound journey awaiting him. In this odd, striking novel, Gregory (Cry of the Phoenix, 2015) challenges audiences not only with rarefied subject matter, but also with the narrative’s layout. Some chapters begin mid-sentence, and not every reader may appreciate the author’s in medias res approach. But those who continue will find prose that’s as clever as it is beautiful. When romance blooms between Kevin and Sophie, she asserts that “ ‘now’ never lasts.” He replies: “On the other hand, maybe ‘now’ never ends.” While Puati using a dog’s body is often humorous, he reveals that there is a cosmic mechanism at work, by which “weather and music are different ways to experience the same truth.” Ultimately, Gregory examines happiness and the notion that individuals must envision their own. Both the style and substance of this work should pull fans in for a second read. 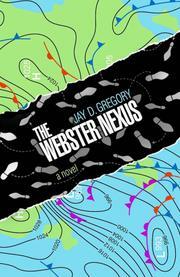 Storm systems and love converge in this intellectually vigorous novel.